NDI Office Furniture’s Elements Collection features contemporary styling ideal for open work spaces and team centers. The PLT7 L-Shaped Desk Suite has two work surfaces. 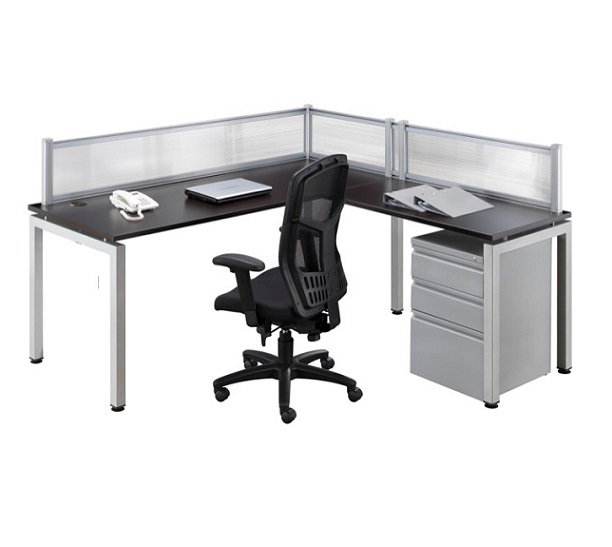 The large table measures 30” x 72” and the smaller table measures 24” x 48” to give the user plenty of space to work in comfort. There’s room for a laptop, notepad, telephone, tablet device and still plenty of room your favorite executive stapler. A metal box/box/file pedestal is included to store file folders and other personal items. Glazed panels stand 12” H and provide an attractive delineation to your work area.